1941, despite problems with tone and plot consistency, works due to the high wattage charisma and fun of it's performers, a lightness in tone, which never took itself too seriously, and an audaciousness, which is admirable. The film works as a live action Looney Tunes cartoon, to it's benefit. A solid guilty pleasure film. Let’s talk about guilty pleasure films, every film buff worth their salt has a number or a go-to list of movies which they ashamedly love. Roger Ebert said it best when talking about this thorny and complicated subject in a Sneak Previews episode from the early 80s: “Every once in a while, you come across a movie which defies those categories, it may not be good, but it’s certainly not that bad either.” Couldn’t have said it better myself and sums up most of my thoughts on Steven Spielberg’s 1941. 1941 is a difficult film to talk about, because of the subject matter and a rather divided opinion on said film, yet we need to discuss what it is first. 1941 is an epic war comedy, loosely based off the Battle of Los Angeles, a 1942 incident where the city was blacked out, and many rounds of artillery were fired in the air at a weather balloon, of what was thought to be a Japanese plane. Because this is an epic, there is an all-star cast of noted talent: the late John Belushi, Dan Aykroyd, the late Toshiro Mifune, the late Christopher Lee, Ned Beatty, the late Warren Oates, Nancy Allen, Tim Matheson, the late Robert Stack, the late John Candy, and the late Slim Pickens among many others. Even behind the scenes, there is talent to spare, aside from Spielberg, the film was written by Robert Zemeckis and Bob Gale, who six years later who would write (and in Zemeckis’ case, also direct) the classic film; Back to the Future. John Milius, who was one of their friends and a forgotten member of the New Hollywood set, also wrote the story of the film, but not the screenplay. So, with the combined talent behind Jaws, Close Encounters, Raiders of the Lost Ark, Jurassic Park, Back to the Future and Red Dawn, and an extremely large budget (provided by two major studios), what could possibly go wrong? Well, a decent amount. However, we should get into the story of this, because there are lots and lot of subplots, and this had to be cut down from a version of this review, which felt more like a recap than a review. “This is the city…” Or rather what’s left of it. The film opens with an ingenious parody of Jaws with the same actress, but instead of sinking and being eaten by a giant shark, she’s lifted in the air holding onto a periscope of an emerging Japanese submarine. Toshiro Mifune commands this submarine, with Christopher Lee as an overseeing German officer, who criticizes the ship’s crew, as incompetent. Naturally, both can understand each other despite speaking different languages. Before the sub, submerges, an officer sees the skinny dipper and yells “Hollywood!”. It’s one of those movies, you know, insane. The film’s “A-Plot” involves a dishwasher named Wally, (played by Bobby DiCicco) who wants to be a dancer in a nice homage to the 40s musical plot, after an incident involving spilling eggs on Treat Williams’ character (who hates eggs to a comical degree). He gets fired, so he needs to find an outfit to impress a girl he likes named Betty (played by Eight is Enough star Dianne Kay), while at the same time, Williams’ character Sitarski also loves her, but she sees right through his “charming” persona, to see a real jerk. Bluto from Animal House as a pilot, I’d believe it. 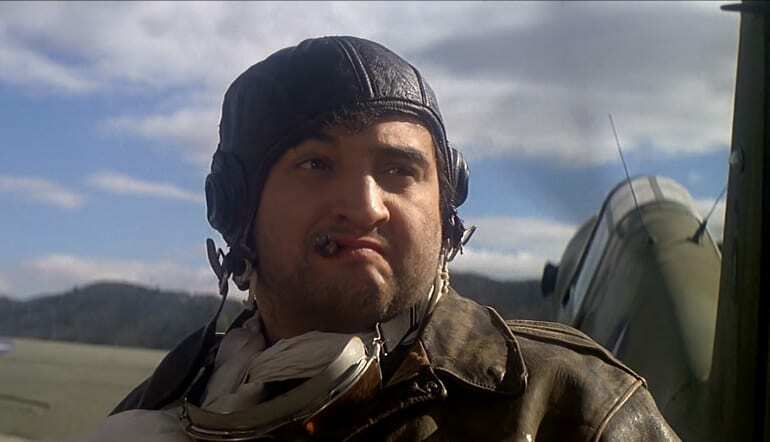 Meanwhile (I’ll say this a lot), John Belushi plays Wild Bill Kelso, a lunatic pilot, who is what would happen if Bluto from Animal House was a WWII pilot, and it’s as insane as you’d expect. His first scene establishes the insanity when he lands his plane at the gas station from Duel (Spielberg’s first major theatrical film), and he goes to the gas attendant (played the same actress, Lucille Benson), and says “Fill ‘er up, ethyl.” He walks off and then Benson looks and says “Where?” It’s clear he’s not in the right mind when he shoots out a radio when it said there were “War nerves,” and further continues when he blows up the gas station when the fuel line unhinges from the plane and the plane starts running off. In many ways, this one scene is the encapsulation of 1941. It’s an in-joke, with funny jokes wrapped inside, and interesting themes, and ends with explosions and insanity ensuing. Whatever you do, don’t look behind you! 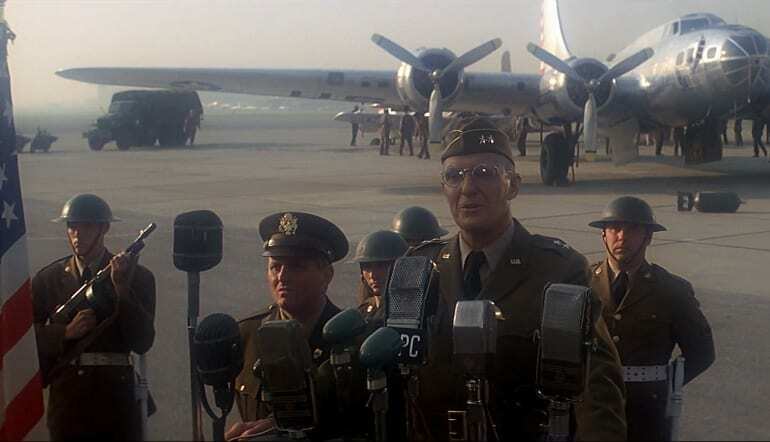 Anyway, onto more plot-relevant info; General Joseph Stillwell (Robert Stack) is commanding the army in the L.A. area, and plays the straight man in all this insanity, he’s introduced in a scene where Tim Matheson is trying to romance Stillwell’s aide Donna Stratton (Nancy Allen) who has a thing for airplanes, specifically, the mile-high club. She sees right through him initially, but Matheson eventually talks her to his plane. But officers come by, and it’s stunted. The conclusion of said scene results in a loaded bomb being dropped and rolling toward Stillwell’s podium saying there is nothing to worry about, while a bomb rolls toward the podium and everyone is screaming, and the podium blows up, naturally. 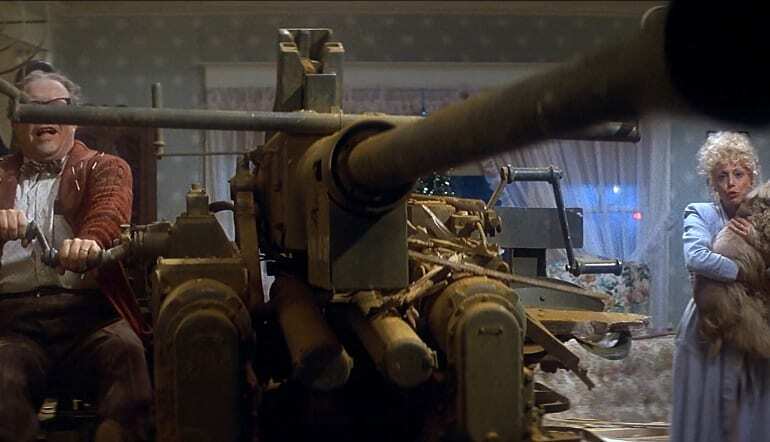 Meanwhile the Dan Aykroyd’s group (which includes Sitarski and John Candy), heads out to a beach house to give Ned Beatty (and Betty’s father) an anti-aircraft gun to fire at possible aircraft or subs, while Beatty’s wife (Loraine Gary from Jaws) hates guns. It’s a classic story, a husband who wants to defend his country, a wife who doesn’t want weapons in their abode, and the anti-aircraft gun which destroyed their house. During this time, Wally got him a zoot suit and visited Betty, how? Simple, get an air-raid horn and utilize paranoia and mass hysteria, to steal a suit he obviously can’t afford. He encounters Sitarski and is thrown in the garbage. In subplot #6, The Japanese sub-officers decide to invade California, how? By dressing as Christmas trees! I wish I were making it up, but I’m not. 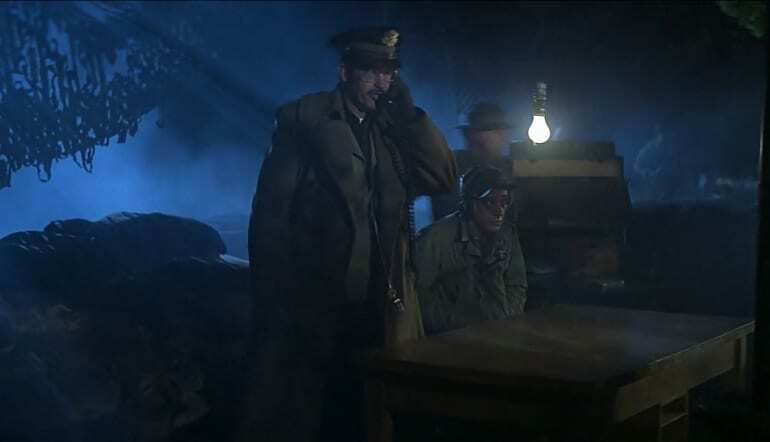 They find a Christmas tree salesman named Hollis Wood (Slim Pickens, and if you can’t see the joke, I can’t help you) kidnap him, and take him to the sub, to interrogate him. Pickens reenacts the item scene from Dr. Strangelove, and they find a compass (the sub’s compass isn’t working), but Pickens swallows it, and proceed to bring out the prune juice, which doesn’t work, as he fools the officers, and escapes, and that’s it for his story. 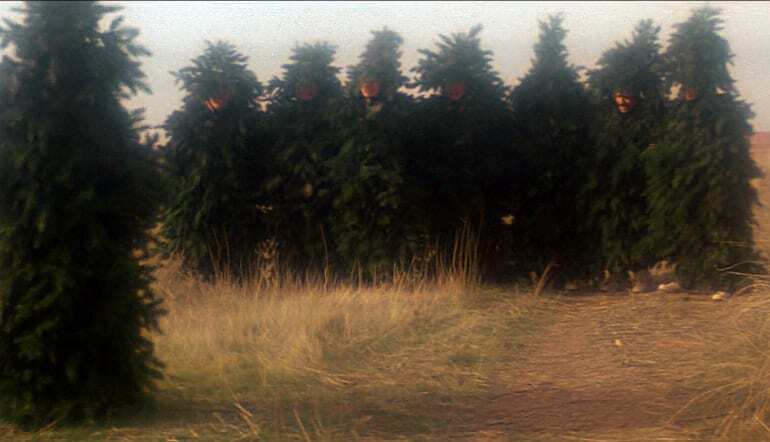 As to prove I wasn’t lying, here is the scene of the Japanese officers dressing as Christmas trees. In the next subplot, Mandark from Dexter’s Lab and the mayor from Jaws decide to volunteer to be on the lookout for subs off the coast, in a Ferris wheel and both hate each other. Oh, and Mandark has a dummy too, so make of that what you will. So, this leads to the night in question, there is a big USO event which had been built up, and there is an interesting comment about an expectation of the women to fall in love with men they may never see again, and complete scumbags to “show them a good time” using the words of the film itself. This is expressed in a small role by the late Penny Marshall, early in the movie. It’s an interesting comment on the era, and it is valid, it’s just after the second half of the films, it’s not continued upon. 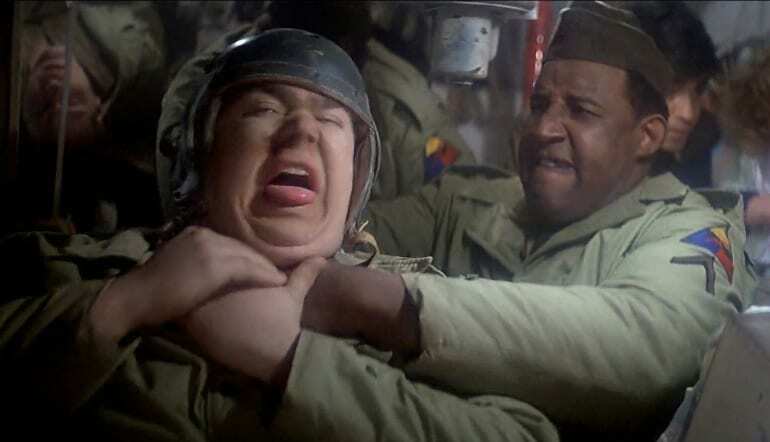 John Candy and Frank McRae hate each other throughout this film, and it’s paid off in ridiculous fashion. In yet another subplot, Aykroyd’s division gets a new member, Ogden Jones (Frank McRae, the police captain from 48 Hours), and Candy is a racist, and there is a silly resolution to this, naturally. After fighting each other, Aykroyd’s group loads up a tank, and proceed to enter L.A. So, Wally has this zoot suit, and naturally the officers don’t respect them, at all, and Sitarski sets Wally’s on fire. Thus, Wally steals an officer’s outfit and sneaks in to dance with Betty, and the grand prize of this USO contest is a contract with RKO Pictures, presided over by SCTV’s Joe Flaherty. Spielberg considered making 1941 a musical, which considering by the quality of the musical sequence, would have been an interesting idea. In the second plot of said night, Stilwell goes to see Dumbo, while all this intrigue is going on, and is thoroughly into watching said, before Mad Man Maddox sends a message to Stillwell they’re being invaded, Matheson and Allen go to check it out. With all this setup, the film becomes one-part satire of 1940s War culture, one-part visual effect film, one-part musical, one-part war film, and one-part slapstick, and not surprisingly, doesn’t mesh well, but still manages to create something watchable. 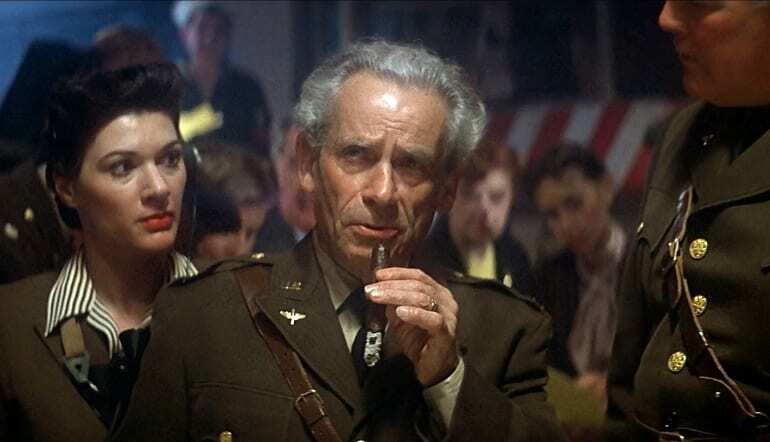 Yes, that is Samuel Fuller, the director of The Big Red One, and White Dog, in a cameo role. Unlike Jaws and Close Encounters which were relatively serious affairs, this isn’t. In fact, the film seems to be making fun of the director’s work, and of America itself. Is it any wonder, the film did a lot better overseas? An American film mocking America in the goofiest way possible by the director who seemed to represent American films at the time? Where do I sign? In reality, though, there are a lot of obvious problems. The structure is pretty bizarre and doesn’t flow as well as it should have. The script has massive consistency issues, it can’t decide between a live-action cartoon, and having these scenes early, where the female characters are discussing the politics of dancing (and sleeping) with awful soldiers for the nation, and then the next scene was Kelso blowing up the gas station. 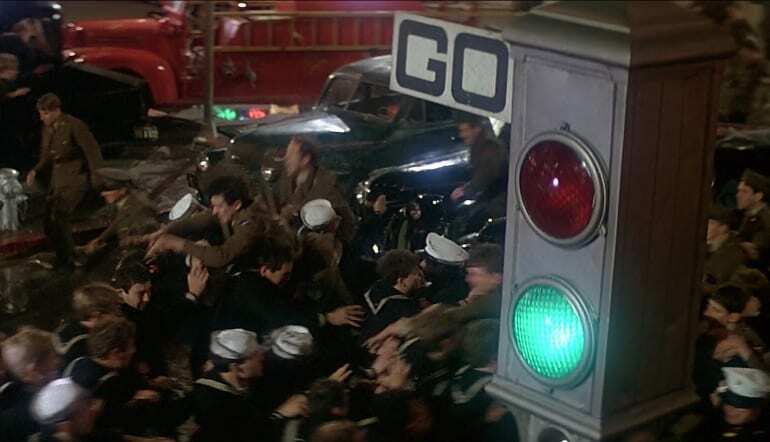 Eventually, midway thru the film, everyone goes completely nuts, and all story structure is thrown out the window. 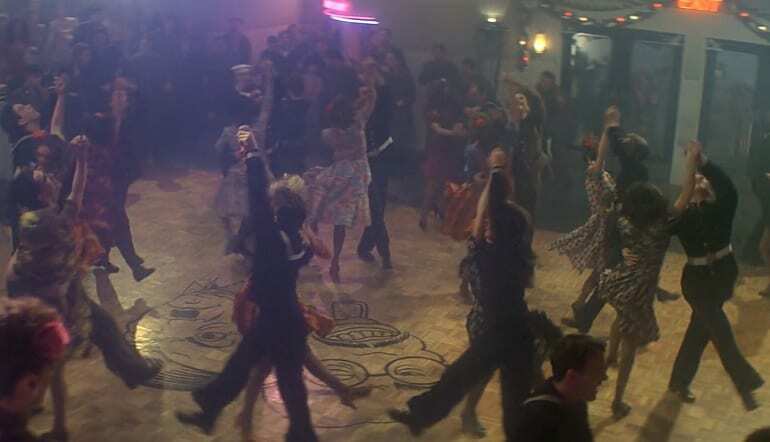 If there was a point where the film looses a lot of it’s sanity, it’s the scene where they reenact the Zoot Suit Riots. As mentioned in the previous paragraph, there are tone issues as well, as the film is unable to decide between silly slapstick, a dramedy about paranoia and a full-scale musical. And yet, despite all these problems, I kind of love this film, I’m dead serious, there’s something inherently charming about all this effort being put into all this insanity, and while it has major problems, it’s not enough to disrupt the sheer amount of fun going on. There was a quote by the late George C. Scott, when asked by Gene Siskel about the three things to look for in a performance, the last one was, and I’m quoting from an in memoriam about Scott by Roger Ebert: “Is there joy in performance?” Within the first ten minutes, it’s clear, there is plenty of joy in most of the performances in the film. The obvious choices in this quantifiable field were, Belushi, Warren Oates, and Stack. Warren Oates has a lot of fun as “Mad Man Maddox”, a completely insane officer who believes the Japanese were invading through Pomona. 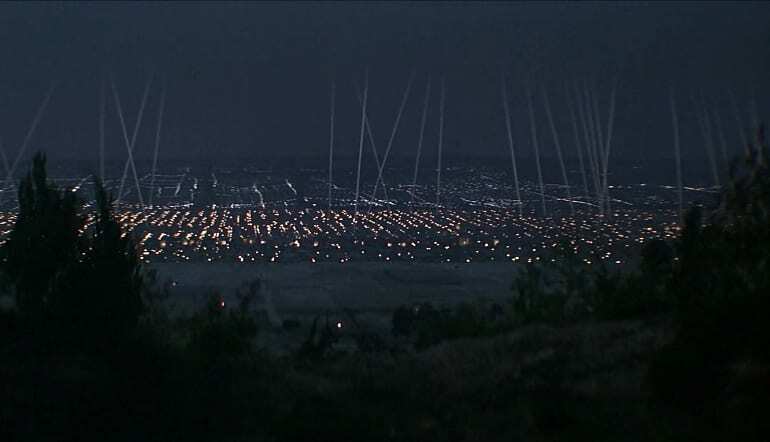 Two other major areas where the film succeeded, the visual effects still look great to this day and were even nominated for an Oscar. Finally, the soundtrack; composed by Spielberg regular John Williams, is fantastic and befits a film which is simultaneously goofy and serious at the same time. So if it’s relatively funny, and has a great cast, and strong visual effects and a fantastic score, why did it fail? Well, it didn’t technically, the film made back its budget, but compared to his two previous films, it was considered a flop, plus critics were apparently ready to tear Spielberg apart as vocalized by famed critic, Pauline Kael, who apparently told Spielberg, “We’re (the critics) waiting for you to fail.” and it showed in the reviews. 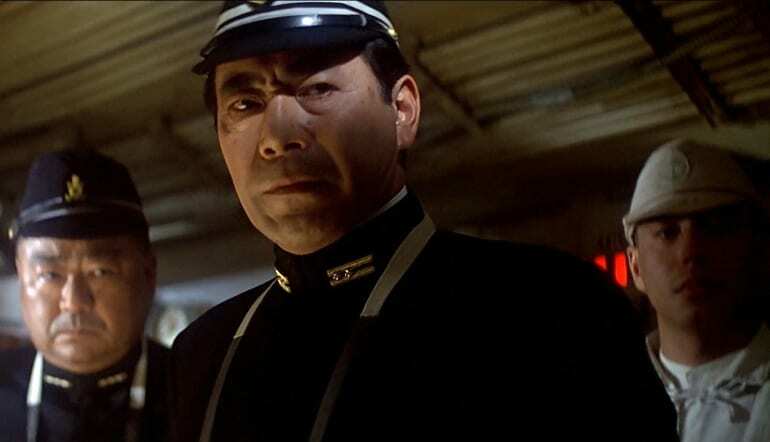 One of the actors who contributed some of the best moments, was the great Toshiro Mifune, playing the Sub commander completely straight, to the film’s great comedic benefit. Unlike many of the directors in this retrospective (There’s another who did recover, we’ll get to him), Spielberg did recover, his next two films were Raiders of the Lost Ark, and E.T., so he was able to rebound quickly. 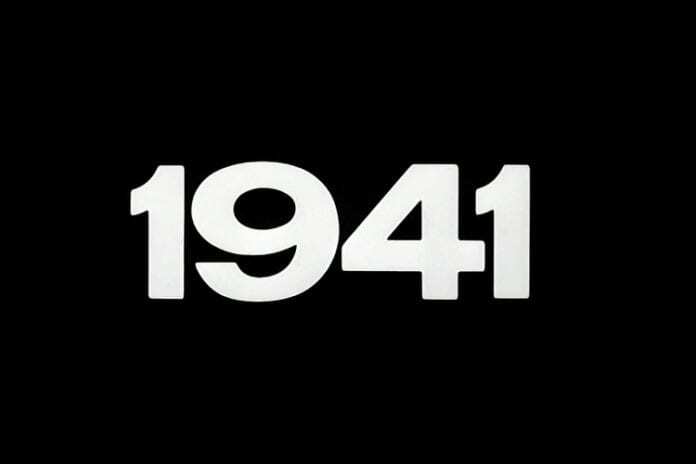 1941 is a loud, raucous film, which never finds a consistent tone, and yet is redeemed by everyone having a time of their lives, even the director, and a certain audaciousness which is admirable, this is a love it or hate it film, and I love it, so make of that what you will. If he isn't watching a forgotten library title, Matthew Simon is watching anime/films or attending anime conventions.